A BRISBANE driver who struck and killed a three-year-old boy in a Hungry Jack's carpark has lost his civil lawsuit against the fast food giant, a council and a firm of architects. 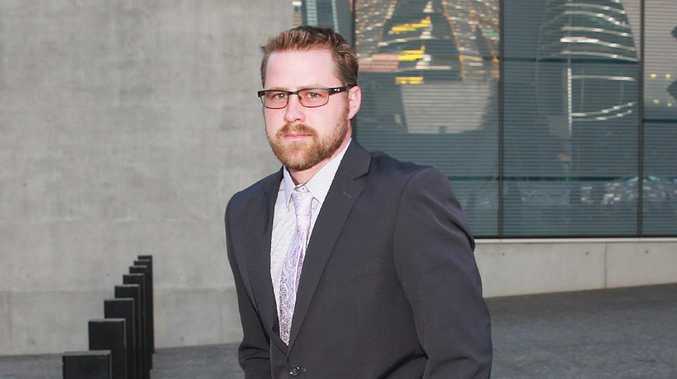 Cafe manager David Bryant, 33, was driving a Nissan Patrol utility when it struck and fatally injured Richard Ishimwe, 3, of Carole Park in Ipswich, on April 26, 2012. 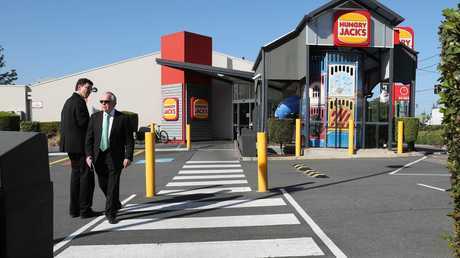 Mr Bryant sued Competitive Foods Australia, trading as Hungry Jack's Annerley, Brisbane City Council and architects, seeking damages of $716,479 for personal injuries. 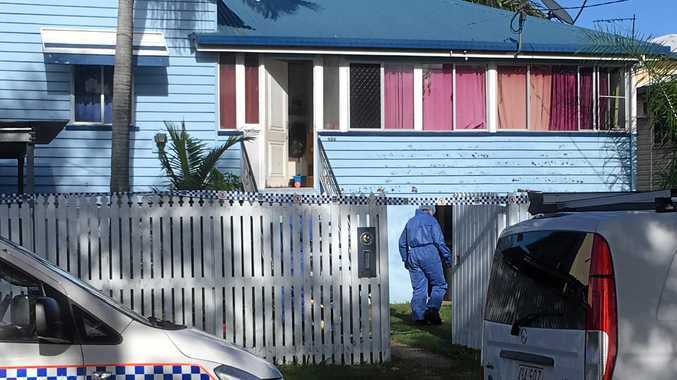 Brisbane District Court Judge Nathan Jarro ordered judgment for the defendants and no damages for Mr Bryant, who developed a psychiatric injury after the fatal accident. Mr Bryant's claim related to the design and approval of the driveway and car park at Hungry Jack's at Annerley. Hungry Jack's admitted it owed Mr Bryant a duty to take reasonable care for the safety of entrants upon its premises, but denied it breached its duty. Judge Jarro found Brisbane City Council and the architects, Wayne Blow & Associates, did not owe Mr Bryant a duty of care in the manner he asserted. Lawyers at a site viewing at Hungry Jacks on Ipswich Rd at Annerley. Picture: Liam Kidston. The judge found no breach of duty by any of the defendants and also found Mr Bryant failed to establish that they caused his psychiatric injury. Judge Jarro also found any assessment of damages, if he had been successful, would have been reduced by 90 per cent, because of his contributory negligence. Judge Jarro said "tragedy occurred'' at 12.30pm on April 26, 2012, when Mr Bryant's utility struck the child as he drove through a pedestrian crossing within the car park. "Mr Bryant's conduct amounted to more than mere inadvertence, momentary inattention or misjudgment,'' Judge Jarro said. "His actions were careless. He was in a confined space where children were about. It was not an open road. Mr Bryant faced a criminal trial on a charge of dangerous driving causing death in 2013, but was acquitted. Judge Jarro said CCTV footage of the accident, played in court, showed the utility not swerving or changing its position of travel. The judge said Mr Bryant had attended the Hungry Jack's about five times prior to the accident and was well aware of a children's playground area adjacent to the restaurant. He was also well aware of the pedestrian crossing. Mr Bryant had claimed motorists could not see clearly in the car park because their vision was obscured and cars were not given enough time to slow down before the pedestrian crossing. Judge Jarro found Mr Bryant was distracted by something within his utility which caused him to look up and down as he drove towards and through the pedestrian crossing. He also found Mr Bryant had earphones in his ears and connected to his mobile phone the entire time he was driving through the Hungry Jack's complex.